Harry Wolf was born in Charlotte and graduated in 1958 with a BS in architecture from Georgia Tech followed by a Bachelors of Architecture from MIT in 1960. After working for a few firms including Odell and Graves & Toy, he founded Wolf Johnson Associates in Charlotte in 1966 which became Wolf Associates in late 1966. Wolf moved to New York in 1983, taught at Harvard and Columbia, then moved to Los Angeles in 1988. He appeared briefly in the movie Concert of Wills about Richard Meier and the making of the Getty Center. His office was in West Hollywood CA. Wolf has won 30+ awards from the national AIA including their National Honor Award five times. Wolf lives and works in Porto, Portugal. In Raleigh NC, he designed the 1978 addition to the NCSU School of Design, later named Kamphoefner Hall. 1965 - The Luther Hartwell Hodges Jr. Residence, 357 Spillway Drive, Linville NC. Won a 1966 South Atlantic Region AIA Honor Award. Sold to Chalmers Poston. 1966 - The John H. Williams Residence, aka the Mountain Residence, 361 Spillway Drive, Banner Elk NC. Next door to the Luther Hodges Jr. House. Built by Blythe and Isenhour. Marley Carroll was the project architect. Engineers were R. V. Wasdell and Associates. Featured in Architectural Record Houses of 1970. 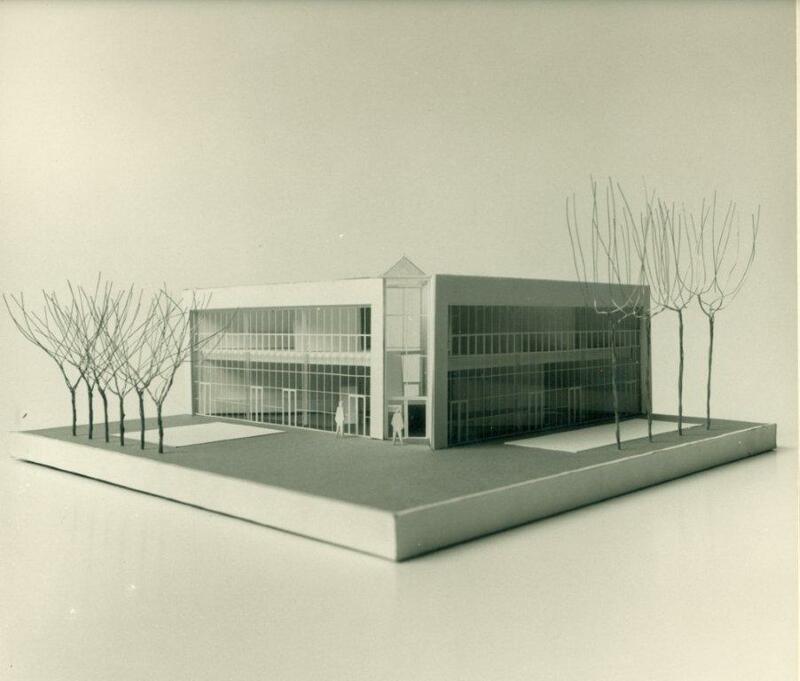 Won a 1970 AIANC Merit Award and a 1970 South Atlantic Region AIA Honor Award. Still owned by the Williams family as of 2012. Top photo by Tom Walters. Small photos provided by Marley Carroll. 1966 - Tent Structure, location unknown. Won a South Atlantic Region AIA Honor Award. 1969 - The Lee Folger House, Charlotte NC. Designed with Marley Carroll. Unbuilt. According to Harry Wolf, "One of the major constraints of the site was that it was in the floodplain. The Folgers both loved the design of the house and were devastated when the city ruled the site unbuildable, a fact known to the land seller but not revealed to the Folgers, resulting in a lawsuit between them." 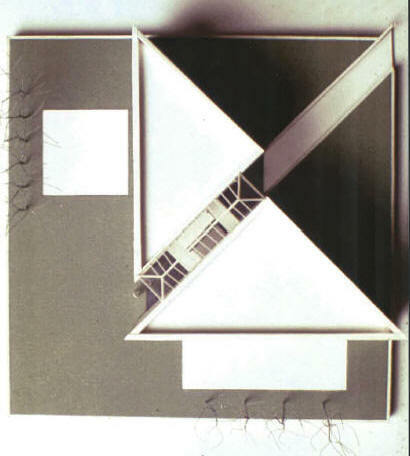 1973 - The Russel and Julie Patterson Residence, 40 Old Route 116, Hinesburg VT. Won a 1976 AIANC Honor Award. Photos except aerial by Otto Bates. Still owned as of 2009 by the Pattersons. 1979 - The Brown Guest House and Painters Studio, several structures on one site in Charlotte NC. Designed with Phil Shive. Unbuilt. 1980 - The US Embassy Staff Housing, Doha, Qatar. Unbuilt. 1985 - The US Ambassador's Residence, Doha, Qatar. Unbuilt. According to Wolf, Phil Shive was in charge of this project and the sketches were by Adi Mistri. Richard Stenhouse, a painter, produced the color drawings. 2008 - The Decker Canyon Residence, Malibu CA. Unbuilt. 2011 - The Harry Wolf Apartment Interior, 1355 North Laurel Avenue, West Hollywood CA. The original Spanish Colonial house was designed in 1925 by architects Arthur and Nina Zwebel. Photos by Paul Raeside. 2013 - The 1979 Brown design came back to life briefly for a new owner and site. Unbuilt. 2013 - The 1969 Folger House design came back to life briefly for new clients with some changes. Unbuilt. Sources include: History of The North Carolina Chapter of the AIA 1913-1998: An Architectural Heritage by C. David Jackson and Charlotte V. Brown, Marley Carroll, Harry Wolf.